Plyometrics, Power Training And More Plyometrics! Being a consultant to many trainers & athletes across the country, it has been my experience that &apos; plyometric&apos; training is one of the most popular & sometimes misunderstood forms of training by athletes. You no doubt have heard the stories of the explosive power developments this method of training can yield. For many years coaches and athletes have sought to improve power in order to enhance performance. Learn why and how it can help YOU! As the eastern block countries rose to become powerhouses in sports, plyometric training was credited for much of their success. By the 1970s, this methods of power & speed development was being used by many sports that required explosive power for the winning edge. Plyometrics can best be described as a reflexive form of power training. This type of training involves powerful muscular contractions in response to a rapid stretching of the involved musculature. These powerful contractions are not a pure muscular event. In fact, they primarily involve & augment the nervous system. Plyometrics is a combination of an involuntary reflex (myotatic "stretch-reflex"), which is then followed by a fast voluntary muscular contraction. This is the basic idea behind plyos. Later we will talk about how they can be adapted to various parts of the body for specific goals. Relating to, or involved in, a muscular stretch reflex. Sprinting & jumping are good examples of pure plyometric events. It&apos;s not very ironic at all that most elite sprinters are good jumpers & vice-versa! This stretching of the muscles, prior to the explosive contraction that follows, is often called a loading phase. The faster and greater the load, the more powerful the reflex and subsequent contraction. A good example of this is watching any basketball player jump. They jump higher when they can take a few steps & create velocity before the jump. The reason for this is that the few steps create momentum. 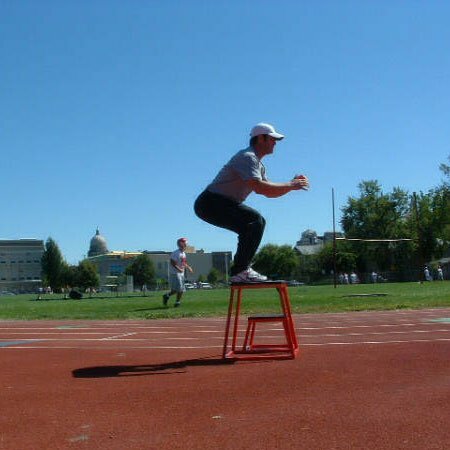 The ability of plyometrics to develop speed and power above and beyond traditional weight training is what makes this style of training a crucial variable in almost any successful sports conditioning program, from football to ping pong! This momentum creates a greater loading phase on the planted leg(s) prior to the leap. The response to this greater load is a greater/faster contraction by the legs and more significant jump height. The same phenomenon exists with all explosive actions. Many times people confuse some forms of power training for plyometrics. Plyometric training is only one form of power training. A true plyometric exercise must contain a very fast loading phase. Yes, Wouldn&apos;t Train Without &apos;Em! Another way of developing power often confused with plyos are what I call "Maximum Power Output" training. One method of this is using an appropriately determined weight to be forcefully lifted at given speeds. Like a weighted jump to box or chest pass with a medicine ball. I constantly see this variant not only being grossly misused but also passed off as a plyometric by the uninitiated. High powered plyometrics or high intensity plyometrics (HIP) are for the more advanced athletes. If you wanted to make a "chest pass" or any given medicine ball drill truly plyometric here&apos;s how it&apos;s done: Remember there has to be a reaction effect, not just simply a forceful action. 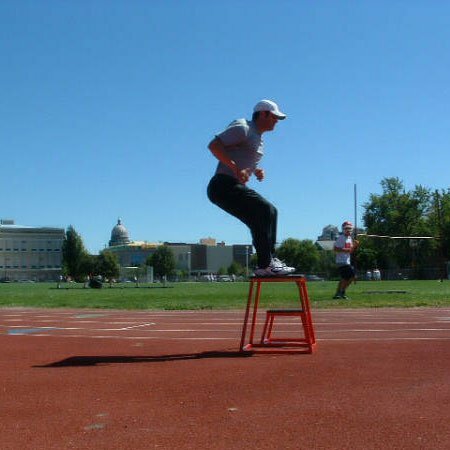 Therefore, a counter-movement (standing) jumping onto a 2-foot platform is a power exercise, but not plyometric. To make it a plyometric exercise you need to jump off say a 12-18 inch box, hit the ground and immediately rebound onto the 2-foot (or higher even!) platform. 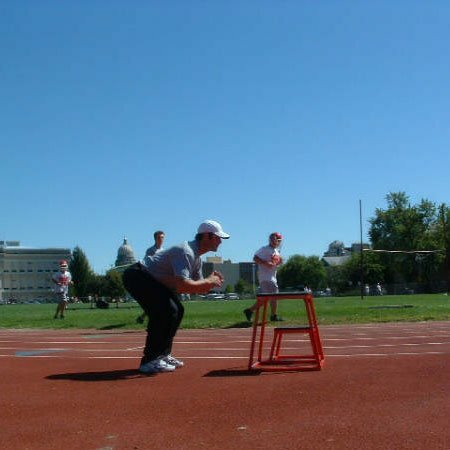 The landing from smaller box loads the legs rapidly enough to create the stretch-reflex needed in plyometric training. In the case of the medicine ball, a "catch" is needed to stimulate this effect. Simply standing in front of a wall & performing a quick reactive toss from the bounce is going to put a whole new twist on medicine ball exercises! Plyometric Medicine Ball Chest Pass. By now you can see how easily this mode of training can be modified to anything from a boxer delivering speedier punches to a batter&apos;s crack at a fastball! Put Some Power In Your Punch! Weight Exercises For Boxing Success. So, who can do plyos? Well, anyone can see progress toward athletic goals by strategically adding them into a typical training routine, however research shows those with an already adequate strength base tend to respond the best to them. Strengthening the underdeveloped stabilizers of the designated area of desired progress (e.g., legs for jump; Tibialis, Extensor hallucis, iliopsoas, gluteus medius, hip adductor/abductors, Tensor fascia latae) will maximize results & eliminate the likelihood of injury. Circuit Plyometrics For Serious Athletes! With properly utilized depth heights, a little knowledge & careful progression, anyone can do them. Athletes can achieve significant power development by first learning the "rules" from a true expert. Remember knowledge isn&apos;t power ... only knowledge put to good use is power! Here&apos;s to helping you put this to good use! For More Plyometric Articles, Click Here.